The recent bad weather has caused the Erythroniums to go past quicker than normal - they do not like the cold windy and wet conditions when they are in flower. A few of the later flowering forms are still looking nice like the pink E. revolutum in the lower centre of this picture. 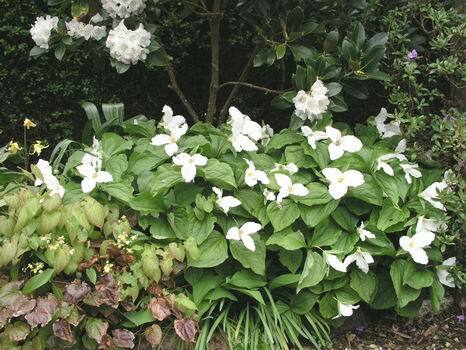 Trillium grandiflorum always does well in our garden and increases each year. It enjoys being close to and even underneath a rhododendron. 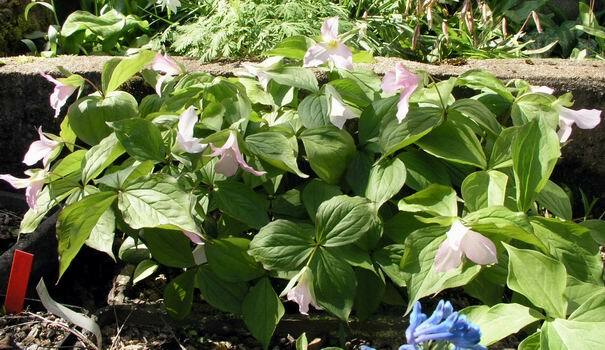 These are the seedlings from a white T grandiflorum that has been crossed with the pink form. The resulting plants go from all white to all pink, some have pink inside and some pink outside - they are all very attractive and look good growing as a mixed group. These are the ones that we thought were too small to plant out last year so they have spent another year in the fish box - they will go out this year. All the ones we planted out last year have increased and have put up two or in a few cases three flower stems. 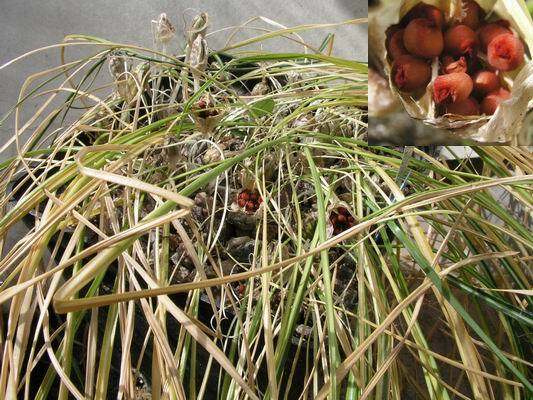 In the bulb house we are collecting seed from the first of the crocus, Crocus laevigatus. If you do not notice when the stems start to grow, pushing up the seed pod, you can lose the seed into the plunge or into the adjacent pots - this can cause great confusion. We gather and store the seed in a dry bag to be sown at a later date. Always write down the name of the seed when you collect it. Do not leave it thinking that you will remember what it is and do it later, it does not work that way. You will end up with pots of Crocus sp. or Crocus ?? seed like we have !!! Just coming into flower is Allium yosemitense, a nice dwarf allium that is well suited to growing in a pot under glass, we have not tried it outside yet but I suspect it will not like our cold wet weather at this time of year. 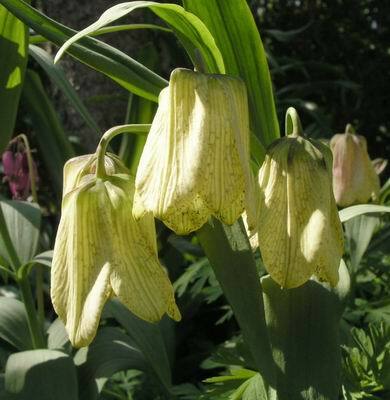 One bulb from North America that is very happy growing outside is Fritillaria affinis tristulis. 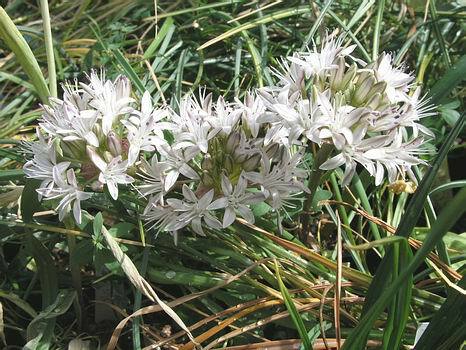 Because it produces so many rice grains which we scatter around the various beds, we have it flowering everywhere. 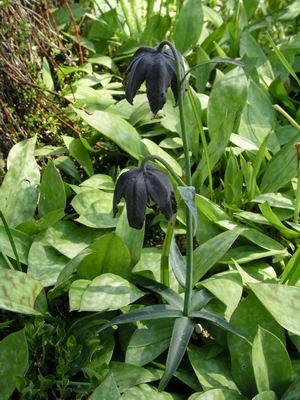 Another Fritillaria that is best suited to the garden is Fritillaria pallidiflora. We do see nice pots of it at the Shows but I think it looks much better growing with other plants in the garden. It is always worth tilting the bells up to look inside the flower as many forms have beautiful blackcurrant markings. 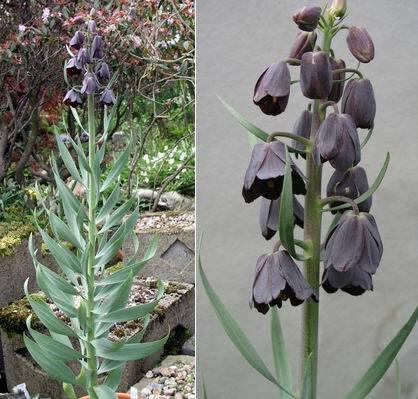 I do not think that Fritillaria persica would be very happy growing outside in Aberdeen. 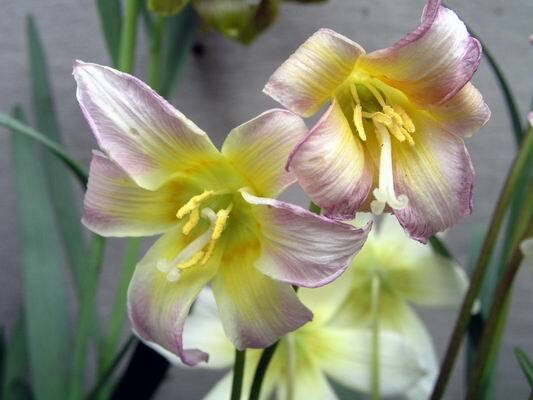 It is one of the taller growing species that requires a bit of warmth to ripen the bulbs and form a flower bud for next year - the sort of conditions it would get in Persia (Iran). The next flush of corydalis that includes Corydalis turczaninowii, are now flowering. In this picture you can see the green leaved normal form, growing with the form with purple/red tinged foliage. It is a selection from this coloured leaf form that is called 'Eric The Red', it still has blue flowers. 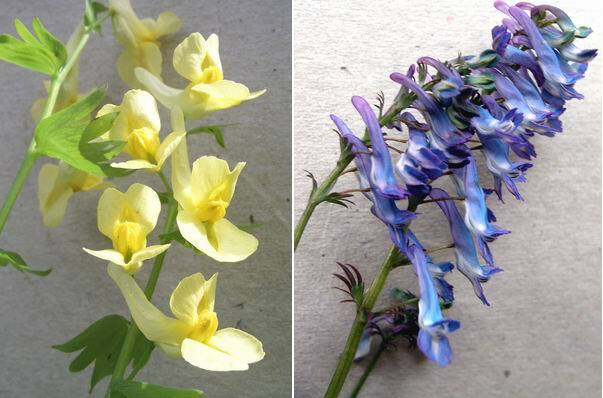 On the right is a deep blue flowered form of Corydalis turczaninowii 'Eric the Red' and the yellow one is Corydalis bracteata, which we are slowly starting to establish. I have fond memories of this yellow corydalis seeding happily around great areas of the rock garden in Gothenburg Botanic Garden. 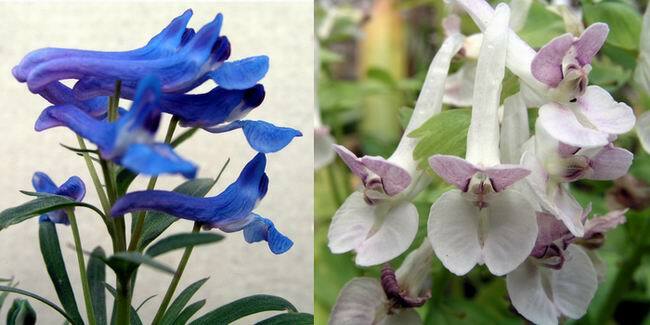 Corydalis cashmeriana & x allenii. Corydalis x allenii, on the right, is a cross between C. solida and C. bracteata, it is an easy plant in the garden, multiplying up like forms of solida. 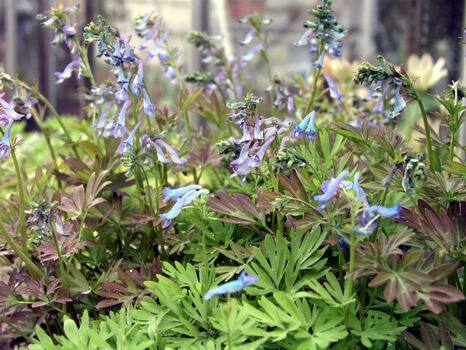 The lovely blue flower is Corydalis cashmeriana which is just starting to open its flowers. It comes into growth in early spring, flowers in May then it goes dormant for the Summer before a second flush of growth, with the occasional late flower, appears in the Autumn . To get the best from this plant it should be lifted, divided and planted into fresh compost on a regular basis. The best time to do this is at the end of Summer just before the autumn growth or in the Early Spring just before the growth starts. 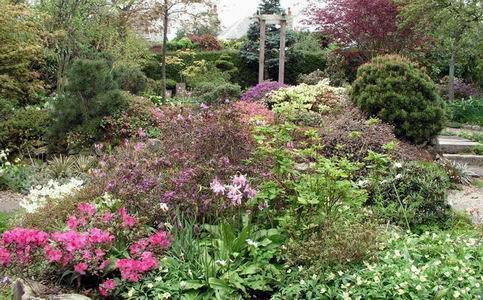 Many Erythronium flowers go shades of pink or purple as the flowers start to go past. These flowers of E. 'Craigton Cream' ( an E. helenae cross) which are a creamy- yellow-white when fresh have added purple/pink to the show for the last few days of their display.